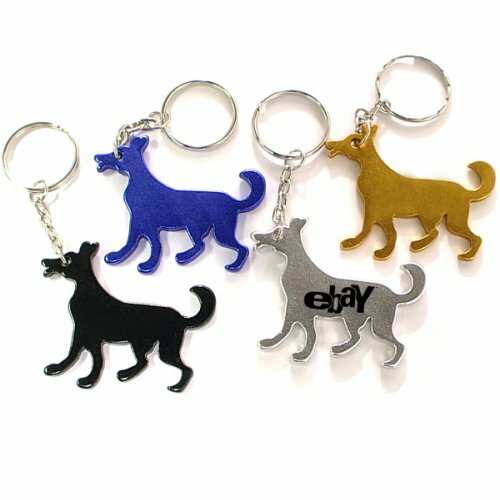 Extremely popular with dog lovers and pet owners, this Dog Shape Customized Bottle Opener Keychain has become a value token for marketers in pet business and animal care. It is technically equipped to perform as a bottle opener and keychain. This animal shaped keychain bears high emotional attachment and people are bound to use it longer due to its shape and functionality. This bottle opener keychain offers extreme durability with its aluminum construction and it easily passes for an amusement token. You can easily get your important brand information imprinted against it. 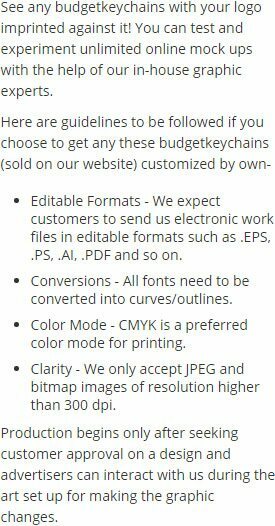 Request for a quote to know about price savings that you can avail on bulk orders of this dog shape bottle opener keychain. Features – Dog shape bottle opener with key ring in metallic finish. Product Size – 2" x 1 3/4"
Imprint area – 1" x 5/16"
Imprint Area :1" x 5/16"